Music Outback school programs provide students with regular engagement in activities that inspire and educate. We work at both ends of the equation, meeting the needs of the school and curriculum, and meeting the needs of the students and community. Music is a marvelous education tool as well as a subject in it’s own right. Through songwriting, students can engage deeply in English and first language learning activities, developing content that is meaningful to them, and supporting community desires to work in the context of local language and culture. Music activities encourage attendance at school, and can build important partnerships between schools and their communities. Music Outback is currently working with the Australian National Curriculum to consolidate and identify how our activities help remote schools meet their curriculum based learning outcome needs. We can work closely with schools to match curriculum links to our activities, basing activities on current content and study areas. Music and arts curriculum is only the start – our songwriting activities cross over into the learning areas of reading and language comprehension, English as a Foreign Language, and with the option of writing songs about any subject, even science! As the National Curriculum rolls out in all states and territories, Music Outback is committed to making sure our programs remain of value to schools in helping them meet their curriculum objectives. Music activities encourage attendance at school. 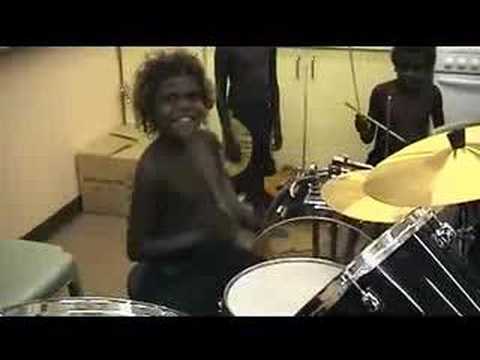 Kids of all backgrounds love music, and remote Indigenous kids are no different. Music activities are high on the list of student priorities, and has a positive influence on attendance at remote community schools. Activities that engage and enthuse remote students in literacy learning are clearly of great value. Songwriting has great engagement power and as such has been at the core of Music Outback activities since our programs began. It provides many opportunities for focused language learning – including content development, vocabulary building, phonics, and even helps with numeracy as well. With music activities of great interest to community members, Music Outback school programs offer ample opportunities for involvement by community. 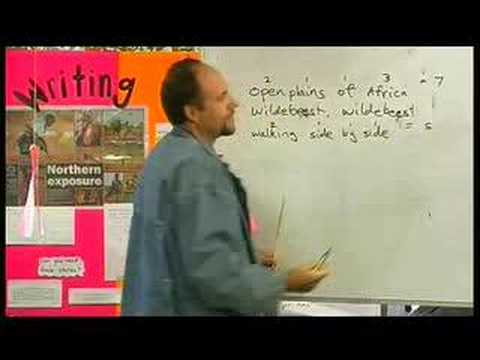 Whether it be creative work in the classroom or the leading of bush trips to develop content for language and culture based songwriting, community involvement in schools will always play a critical part in remote education. Music Outback is proud to play a part in helping communities and schools come together. Innovative teaching using music activities provide a wealth of learning opportunities for students in remote Indigenous schools. To view more videos of our School Program in action, click here.